Living and working in Metro Manila means that most of us are stuck in traffic for an average of two to three hours daily. With all that time wasted staring at tail lights, how can the prospect of even more driving appeal to anyone on their free time? It does to some, especially when there is food involved. It does to me. I get giddy at the thought of country roads, restaurants and tourist spots. Sure, taking a plane will get you further but the lines, our airports, the delays and all that sitting around staring at hoards of people then sitting some more and staring thousands of feet up in the air isn’t my idea of an adventure. Plus, if like most people, all you have is a weekend off work, almost half your weekend will be spent in an airport. Now how is that any fun?! Our four-day adventure started out with a months-long invitation—invitations to be more precise. Brother and sister chefs Day and Gel Salonga and Chef Mon Urbano have been friends of Cook for years and are some of the nicest and most talented in the industry. 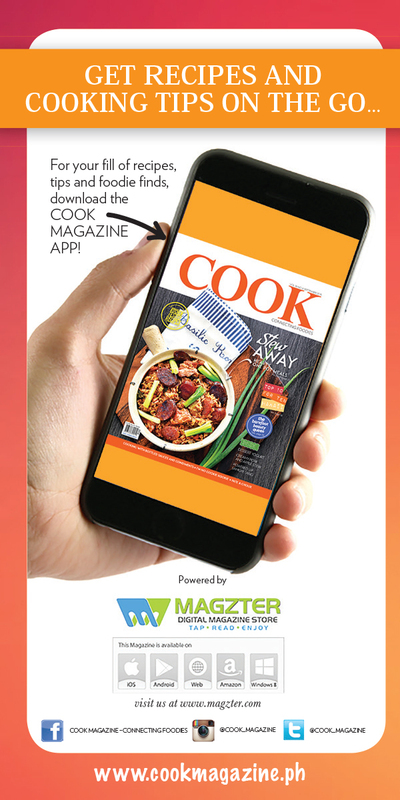 We have always been fans and are fortunate to count them as COOK columnists. 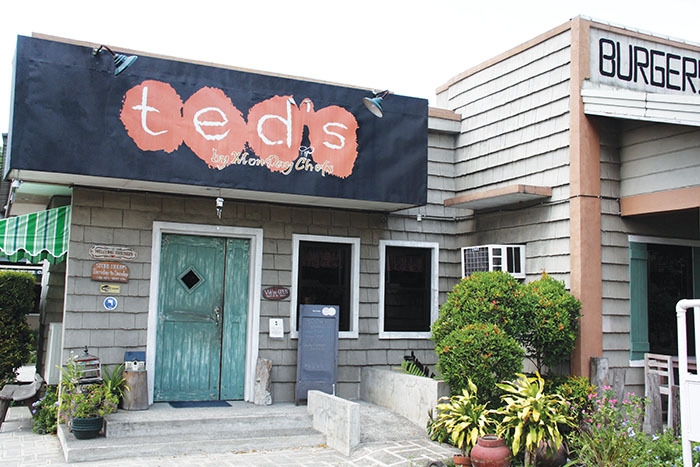 It’s been a few years since they opened Ted’s, a restaurant in their hometown of Sta. 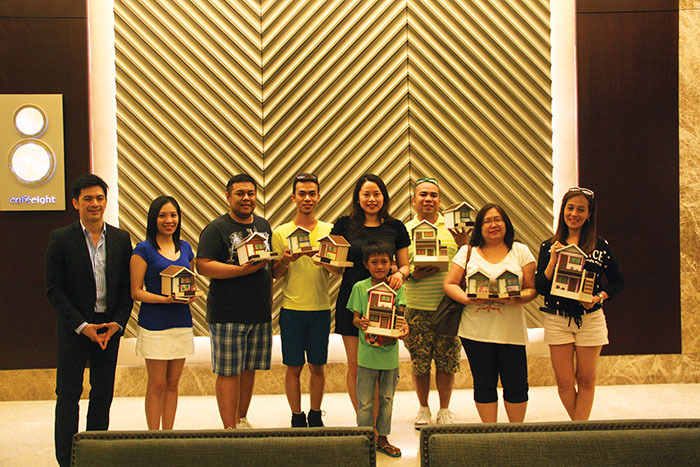 Cruz, Laguna and for one reason or another, our team has never had the chance to visit despite constant invitations. Another invitation was from Widus Hotel and Casino in Clark, Pampanga. 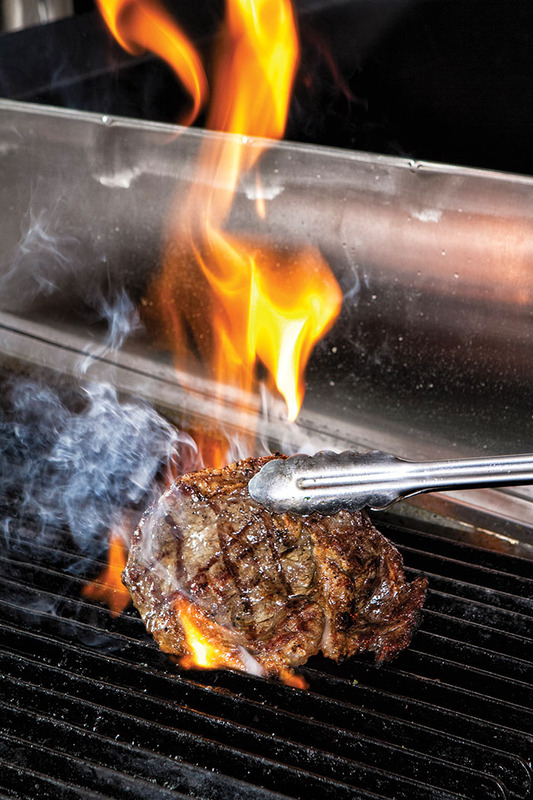 We visited them a year ago to try out their steakhouse, Peppers 21. Since then, we’ve been wanting to take them up on their offer to host us at their hotel but never got to going. 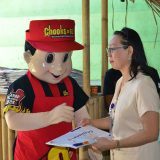 A third invitation/offer was from Nissan Motors Philippines thru YMV and Associates’ Rosary and Ika Ysmael. They’ve been offering us cars to try out for a road trip, as soon as we have one planned out. So with two cars and two destinations set, we were off to yet another hectic but fun-filled foodie adventure. Free Towing and Roadside Assistance. 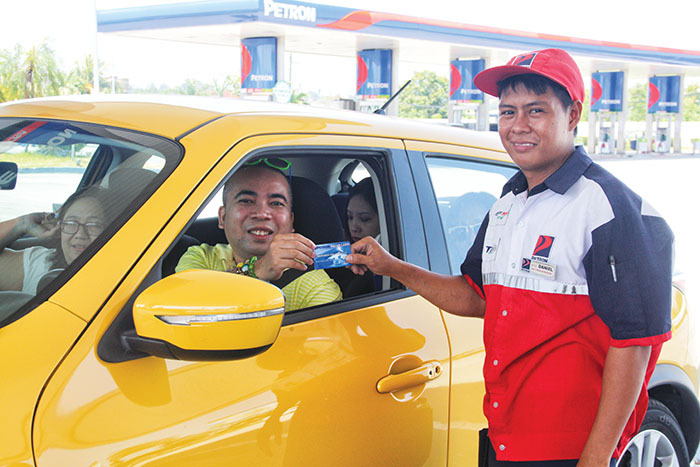 Worry no more, your Petron Value Card entitles you to 24-hour Towing and Roadside Trouble Assistance. Just call (02) 459-4735 and help will be on its way. Year-round Personal Accident Insurance. Coverage is a must should accidents happen. Your Petron Value Card automatically enrolls you for a P10,000 Personal Accident Insurance and P1,000 in Medical Reimbursement. For claims, just call 876-4400. Click here to read the Terms and Conditions*. * Terms and Conditions subject to change without prior notice. We set off on Holy Monday, planning the trip so that we could get back just as everyone else starts heading out of the metro. 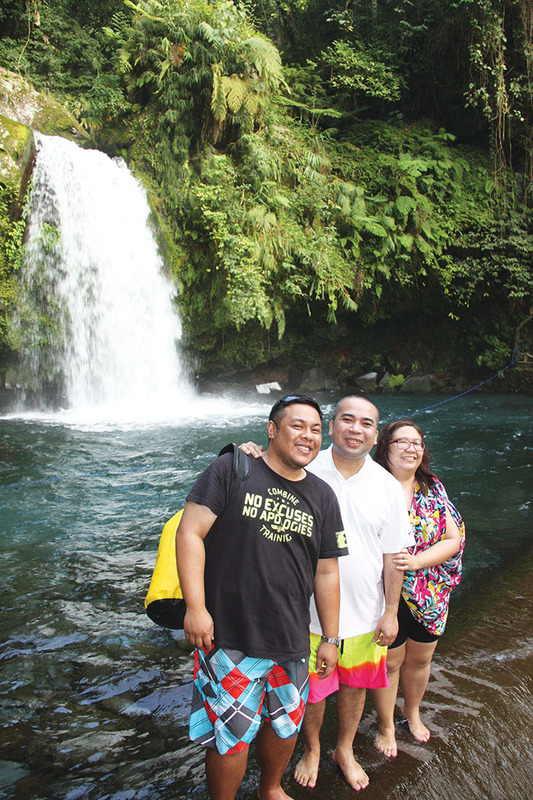 From Quezon City, we wanted to take the more scenic Rizal route to Laguna, one most of us have never gone on. While development brought us the SLEX, NLEX and other expressways, taking older, longer routes affords us the opportunity to visit places we’d otherwise breeze through at 100 kph. Driving around the outskirts of Antipolo City, thru smaller towns of Rizal towns got us to Tanay then Pililia, Rizal in just over an hour from the Katipunan area. This was at around 9 a.m., and although classes are out, it was hardly a light Sunday drive. 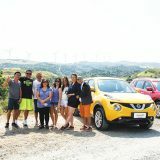 But the hour drive to Pililia was well worth the trip, especially since we were all enjoying our cars: the new Nissan Juke and the new Nissan Xtrail 4WD. We’ll get to those later in the article. 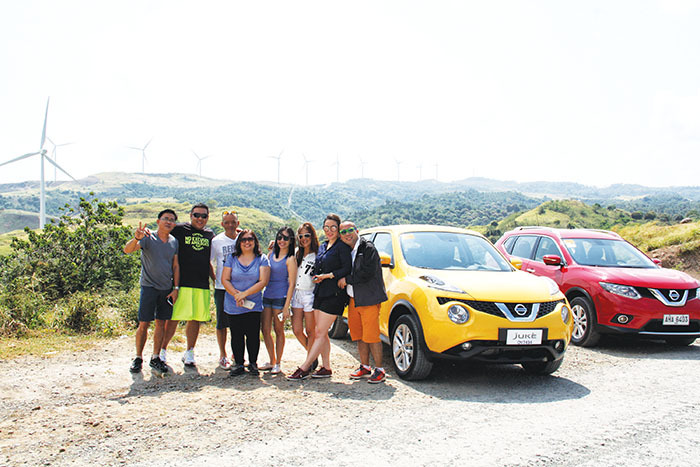 Just above Tanay, in the winding roads of Pililia is the Pililia Wind Farm, an alternative energy complex of Altenergy Solutions. 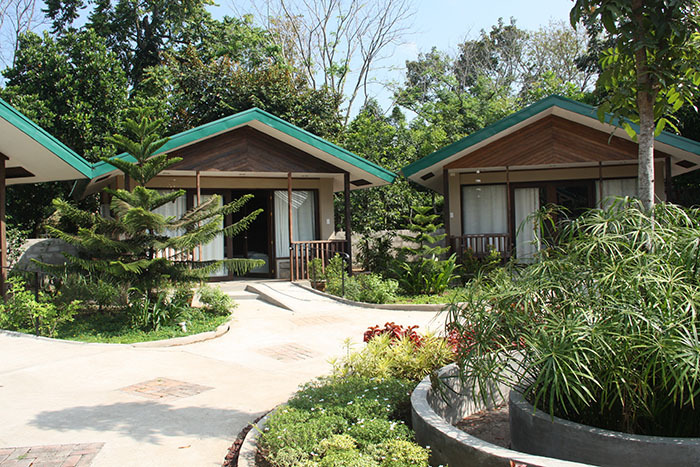 While the COOK team has been to the wind turbines of Bangui, Ilocos Norte and saw its stunning seaside views, the Rizal site offers a different vista. 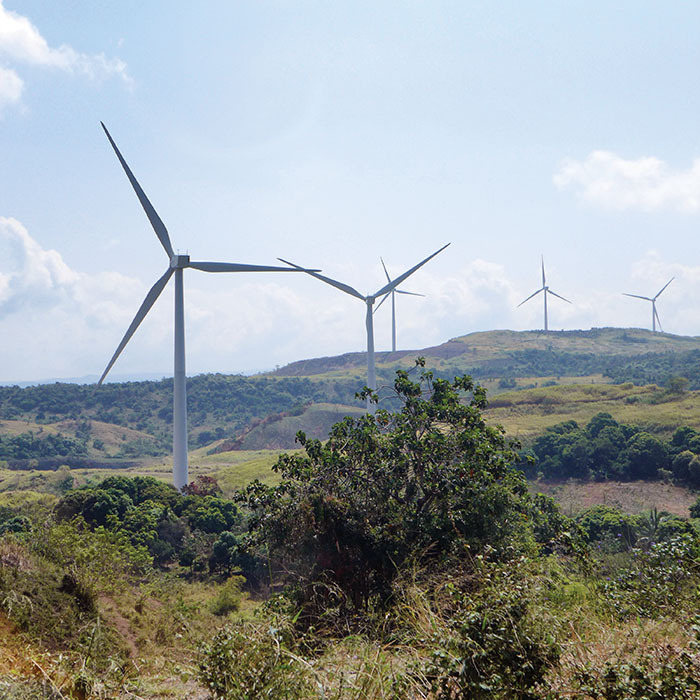 Unlike the coastline of Bangui, Pililia Wind Farm offers mountain views on one side and the Laguna lake on the other. Watching the propellers turn amidst the scenery is well worth the short detour. We stayed just long enough to take some pictures and were shortly on our way to Laguna. Just past Rizal were the quaint towns of Laguna. One of those towns was Pakil, where we decided to stop by their old church to pray and marvel at their parish which has stood the test of time. 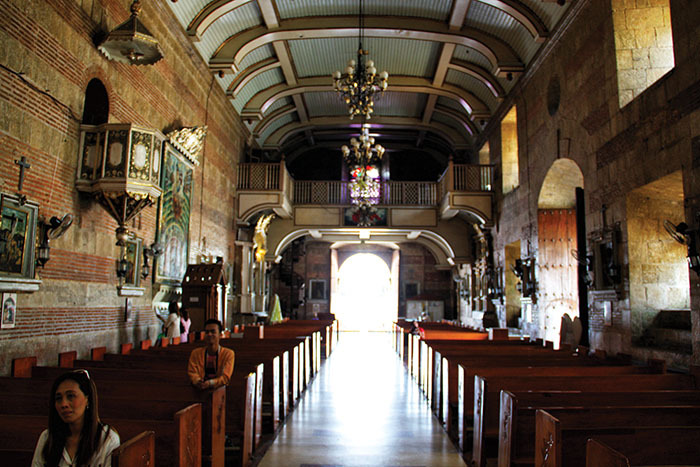 Pakil Church, better known as St. Peter Alcantara Parish Church was opened in 1767, almost 250 years ago. As our pictures illustrate and hopefully do justice to, the church is beautiful inside and out. 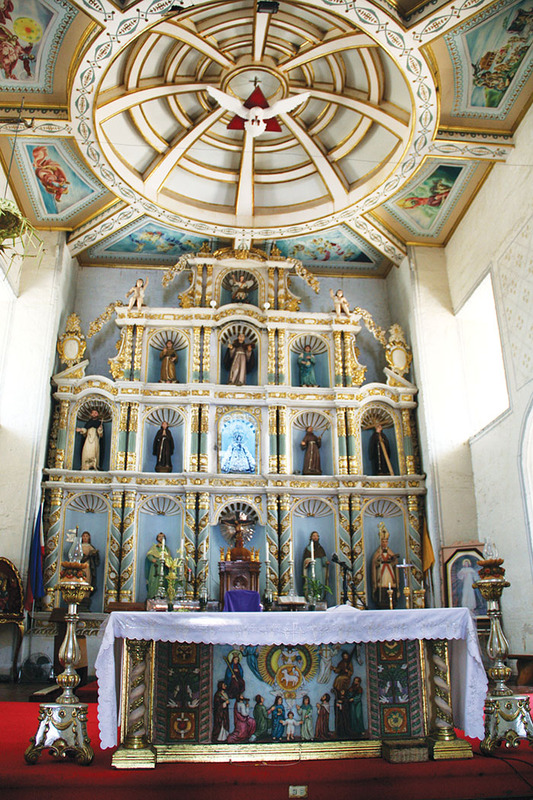 Set at the foot of a Pakil hillside, you can just imagine what it would’ve been like in 1767, with only a few structures around, you would’ve had an unobstructed view of Laguna de Bay from the church’s front steps. Hills behind and a great big lake in front make for a stunning church location and although the lake views have all but gone, the magnificent church still stands for all of us to admire. 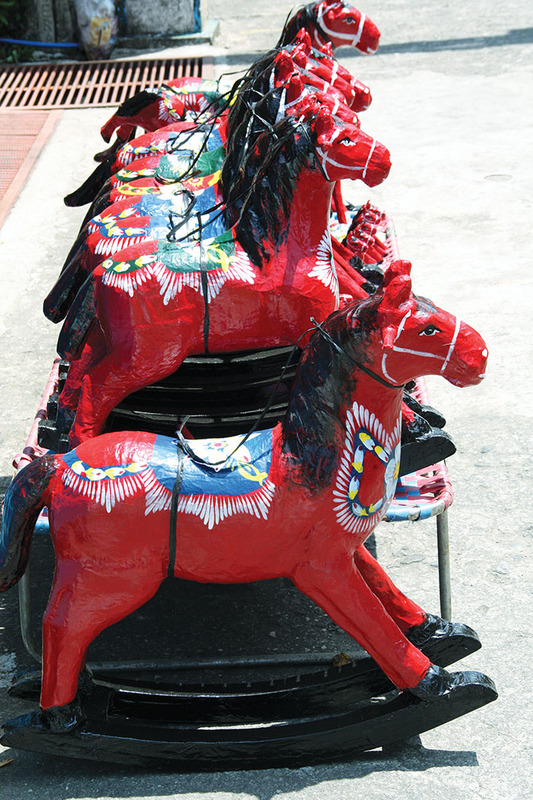 If you’re familiar with independent filmmaker Kidlat Tahimik’s 1981 film “Turumba”, this is the town where it was filmed, with its iconic blazing red papier mache horses, which the town is known for and made famous in the film is still evident and sold beside the St. Peter church. 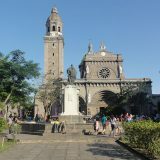 Turumba refers to Nuestra Señora de los Dolores de Turumba (Our Lady of Sorrows), the city’s patron saint. 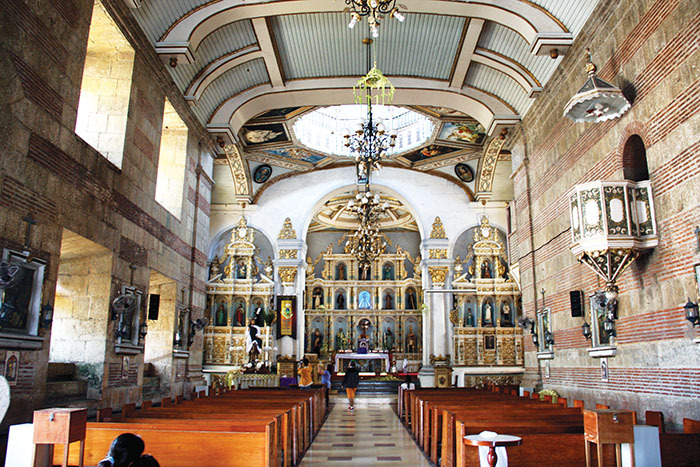 A relic of our lady, a painting depicting our Lady, is housed in the St. Peter Church. Legend says a ship that carried missionaries who brought this painting with them plied Laguna de Bay.Unfortunately, they were shipwrecked and this painting washed ashore.The fishermen tried to carry it to the nearest church but they had to leave it at a rock to continue fishing. Villagers were astonished to find this painting bone dry the next day as it had rained all night. There is a romance to this old church, and you will feel it within its walls even without knowing its moving history. After the Pakil pitstop, we then headed towards Sta. Cruz which was about 40 minutes away. Passing by the town of Paete, which is famous for their wood carving industry and Lumban, popular for Piña Barongs and its intricate embroidery. We had a nice trip so far, good roads, great sights but as soon as we passed Pagsanjan, we got into a traffic jam that lasted about half an hour. The traffic only served to get us even more hungry and raring to get to Ted’s. 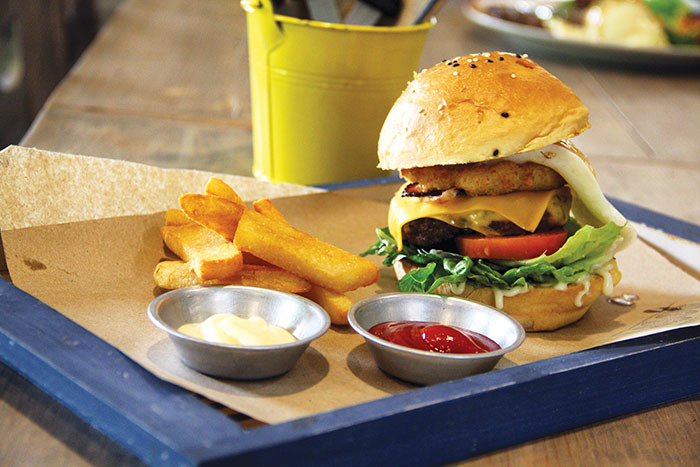 It was past lunchtime and we were late for our lunch appointment.Ted’s serves comfort food in a casual setting. The restaurant is designed like a country store, with faded exteriors, and vintage memorabilia like an old gas pump displayed outside. 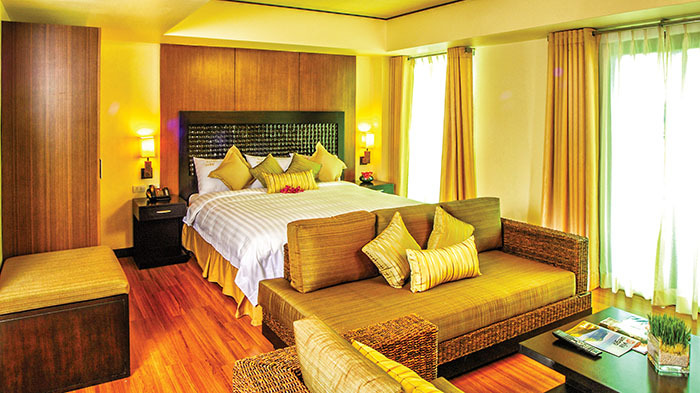 The interiors offer a homey, American country cottage ambience. Coming from a few hours of driving and with the midday sun blaring outside, Ted’s relaxing and air-conditioned dining area and their fresh shakes: a choice from Apple Basil, Peach Mango, and Mandarin Lime provided much relief. As previously mentioned, Chefs Mon, Day and Gel are friends we met through Ms. Nancy Lumen, Cook’s former Editor-in-Chief. 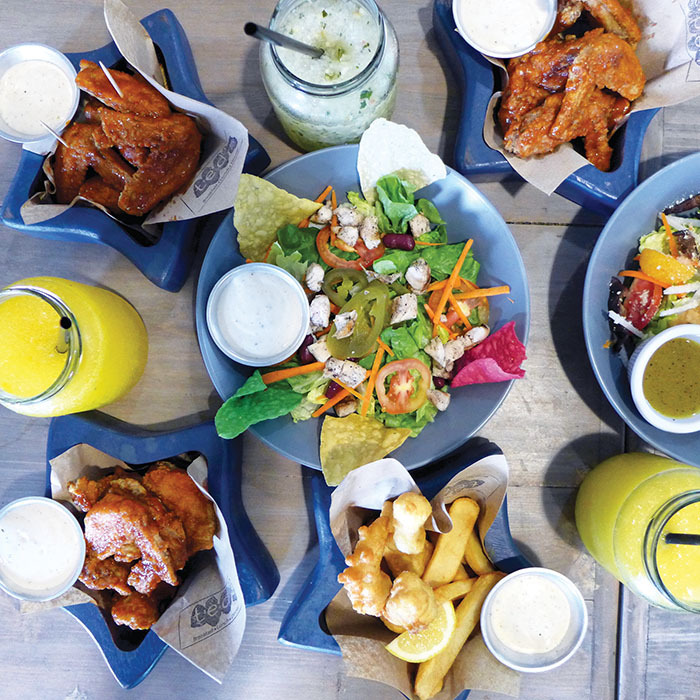 Aside from being monthly columnists for our magazine and getting to try out their recipes regularly, we’ve also been to their highly successful tapas bar, Tapeo at the Fort Strip and have thoroughly enjoyed each of my visits there. 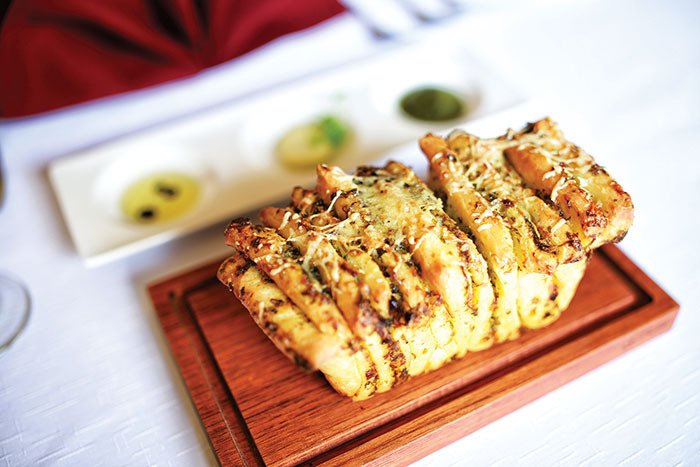 Like the chefs themselves, their food is no-nonsense, consistent and always done well. Always. 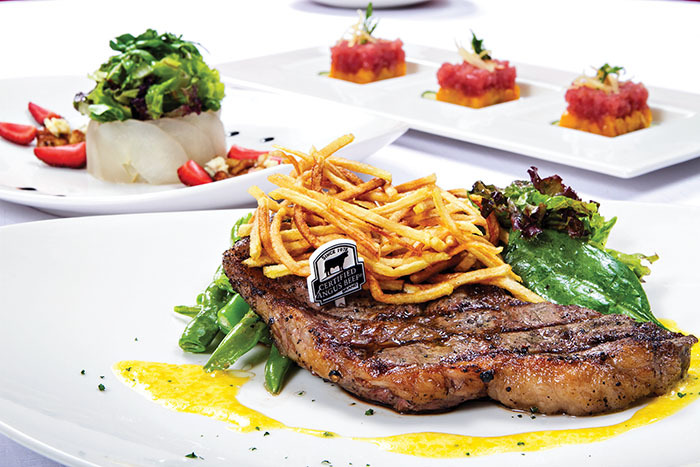 Dining at Ted’s, named after Day and Gel’s father, was another chance to experience these chefs’ talent for creativity and quality, now at a different price point and for a different market. 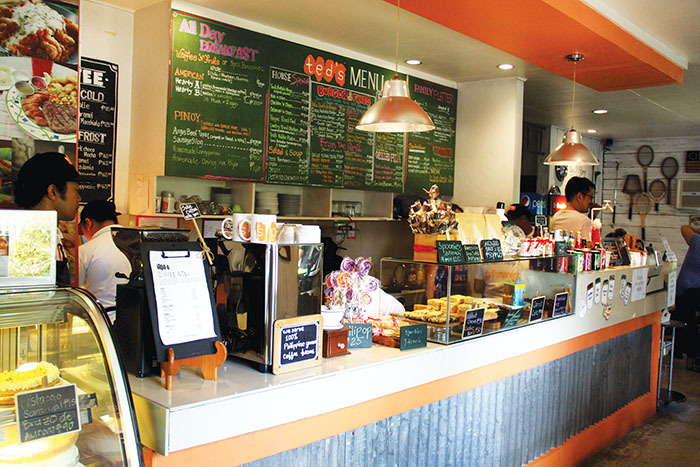 Your market always dictates the type of food you serve because ultimately, the prices factors in when diners decide where to eat and how often to come back. You can serve the best food at exorbitant prices and you will sell, once…or twice…or once or twice a year if your diners have cash to burn. You can also price your food at school cafeteria prices and still offer poor value. This is where I admire the team of MonDay Chefs, their restaurant consultancy company. 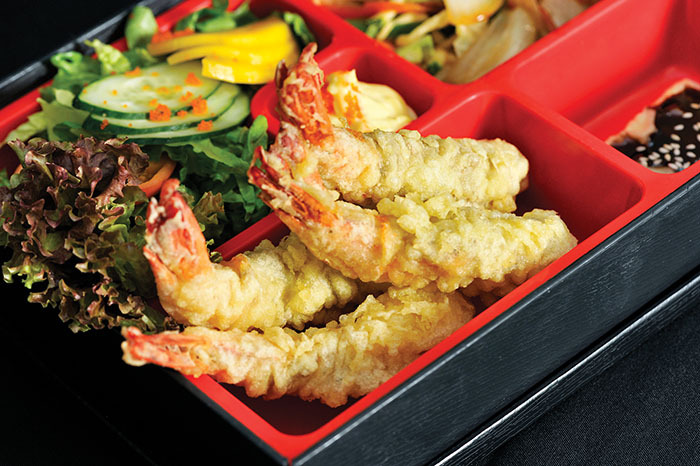 Quality food, generous servings, all at the right prices and with the ability to cater to different markets assures guests that no matter which outlet they visit, they will always leave you feeling satisfied that they had a great meal at great value. We tried the Asian Salad, Red’s Ranchero, Fish and Chips, Original and suicidal Buffalo wings, Chicken Quarter, US baby Back, Pesto Chop, Laguna Pesto Pasta, Garlic Chicken Pasta, Angus Ribeye, and Ted’s Angus Burger. It is not an exaggeration to say that everything is delicious, not an easy feat since it’s an extensive menu: the Garlic Chicken Pasta is well-seasoned; the fish is tender and beautifully fried, and we still talk about the rib eye steak to this day. It isn’t a surprise that patrons come in at all times of the day because you can have a meal and also have coffee and a delectable choice of desserts. 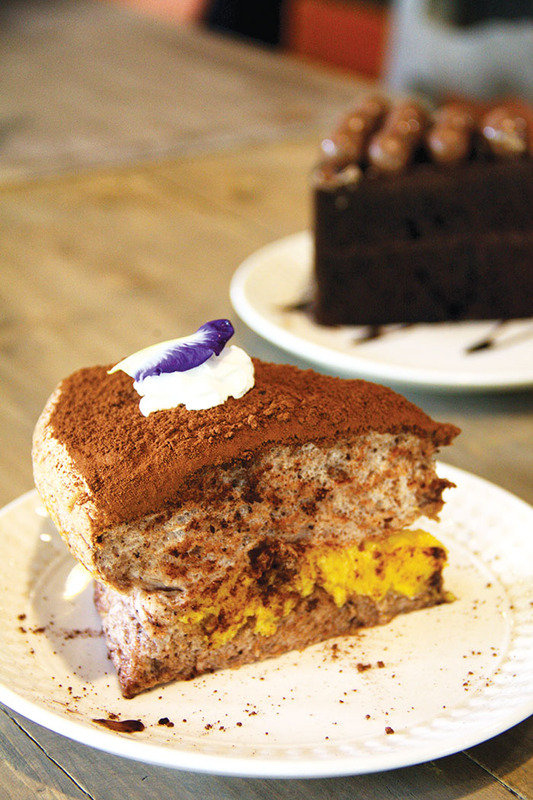 The desserts are the domain of Gel Salonga, Ted’s sister. 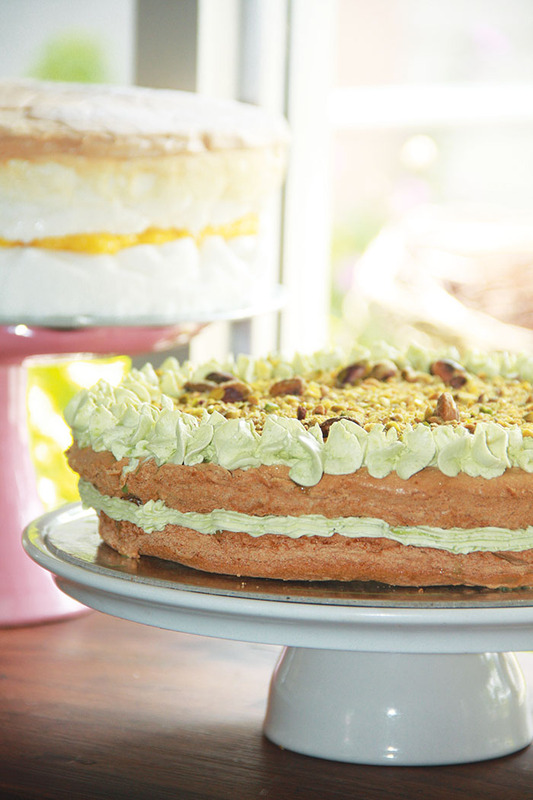 You will be surprised that she’s only been baking professionally for three years because her cakes are superb. She was home on vacation from a high powered finance job in Singapore when she tried her hand at baking. “I didn’t even know what a red velvet cake was,” she relates laughing. 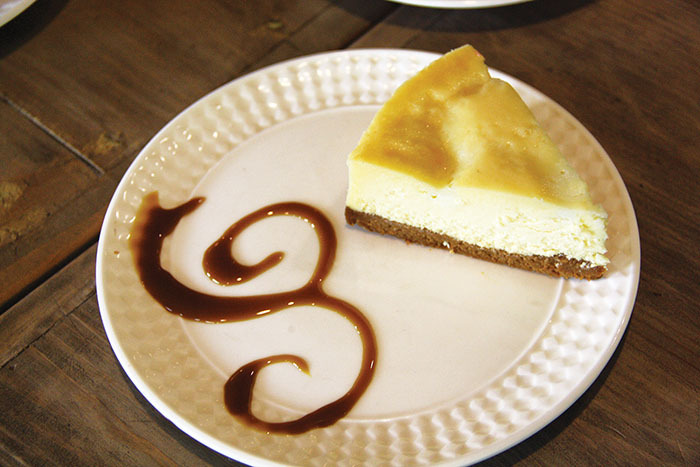 Somewhere in the midst of making desserts with her young cousins, Gel had an epiphany and a career change ensued. 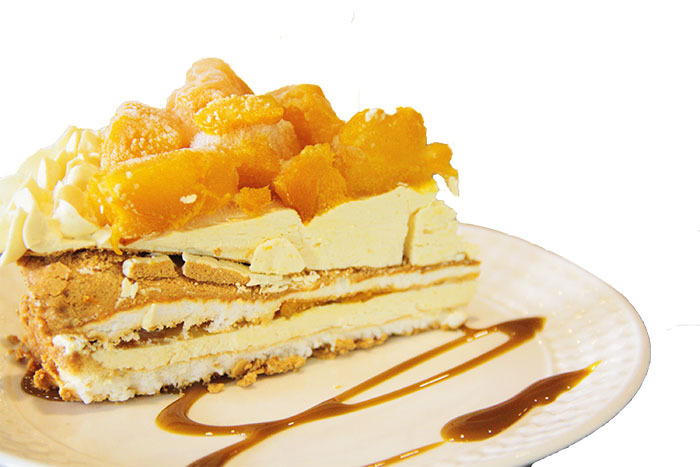 Her Brazo de Fernando (a chocolate take on the Brazo de Aurora, similar to a Brazo de Mercedes, but she named her version after her grandmother instead) earned a best desserts award from the Philippine Daily Inquirer, which only further confirms that leaving the corporate world was the right decision. Her baking nook at Ted’s is so charming, so pop in and you may see her at work. 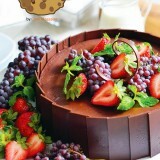 Her specialties include the aforementioned Brazos, Choco Bomb, Kesong Puti Cheesecake, Frozen Mango Sans Rival. 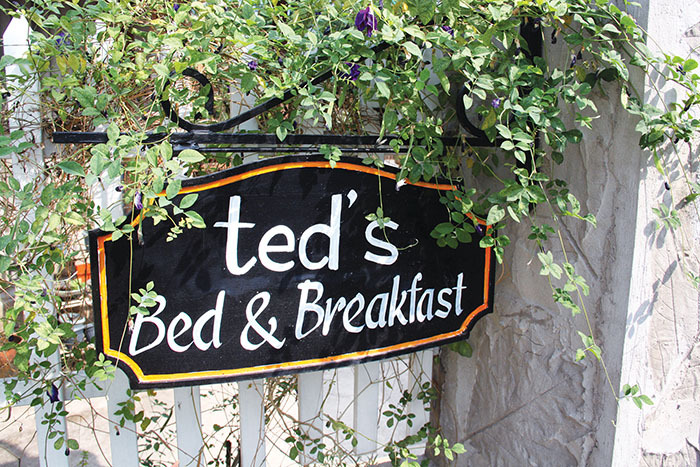 Ted’s B&B offers six cabin rooms that can sleep anywhere from two to four people. 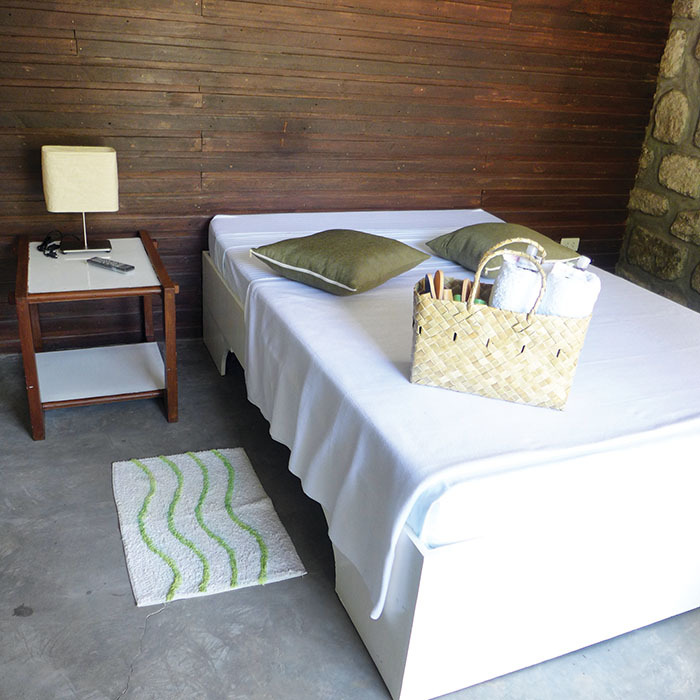 Each room is built as its own cabin, with its own patio facing the central garden/bonfire pit area. The whole complex is beautifully landscaped and even at the height of summer, offers relaxing views. 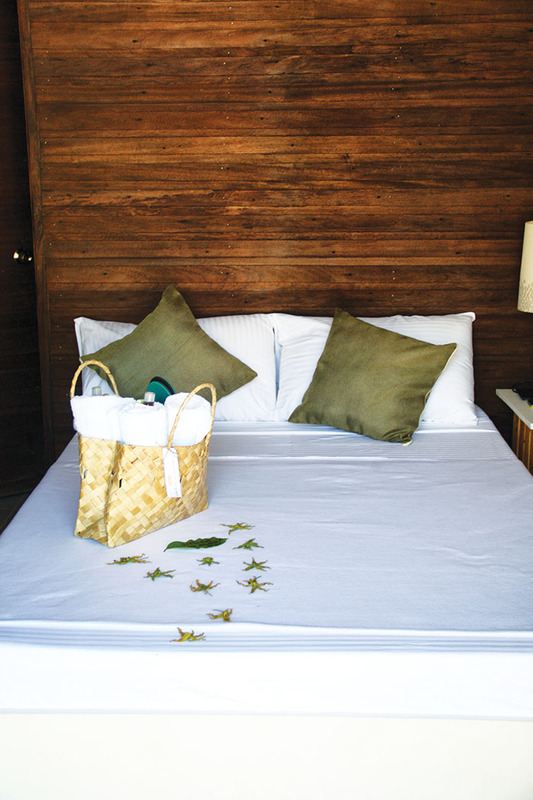 Amenities include air-conditioning, cable TV and a spacious shower/bathroom. 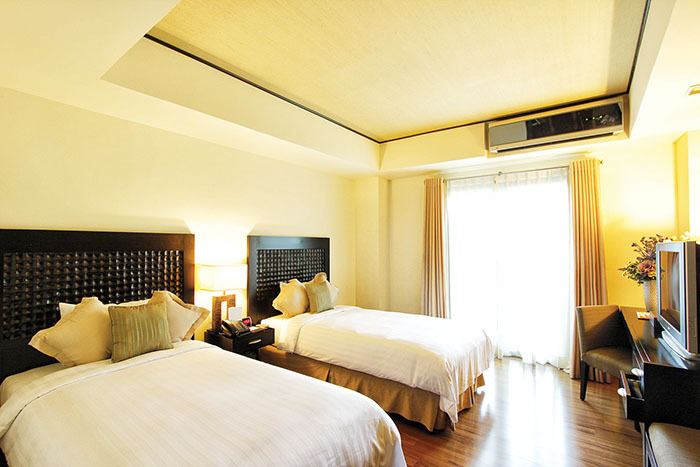 And since each room is in its own “house”, there is a lot of space to move around and place luggage in. We checked in just after 2 p.m., and at first sight, I was already imagining how pretty the place would be at night, having a chat and a nightcap around the central garden and bonfire pit. 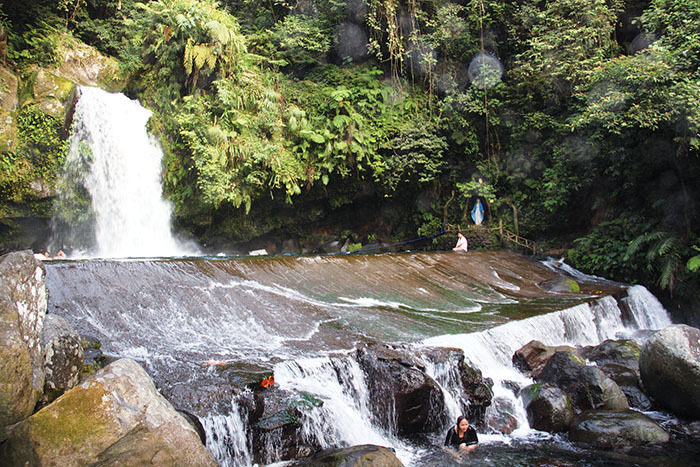 About a 45-minute drive from Ted’s is Taytay Falls in Majayjay town, right at the foothills of Mount Banahaw and bordering Quezon Province. Chef Mon and Chef Gel served as our guides and led the convoy. After paying the entrance fee (Actually, our hosts paid. Thanks Chef Gel!) and parking our cars, we had a short hike towards the falls. The path is paved and winds around the foliage of the surrounding forest. 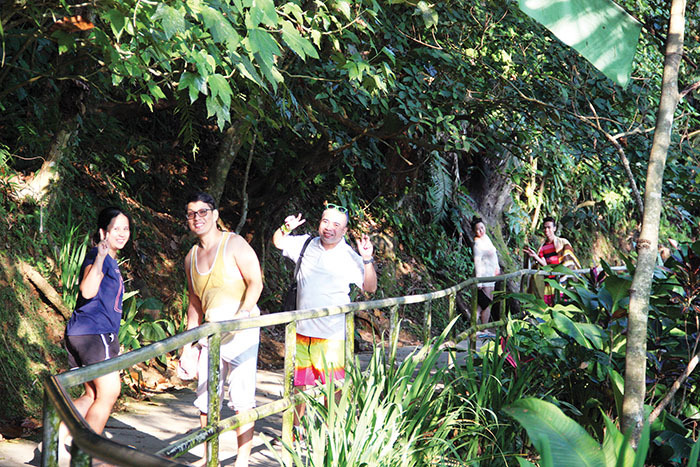 It is a comfortable hike as it is flat and is under a canopy of plants and trees so it doesn’t get hot. Beside the footpath is a crystal-clear fast-flowing stream coming from the falls, a preview of what you can expect. We didn’t dip our feet yet, so we had no idea of how cold the water was. While the popularity of the falls has brought development, it has somewhat lessened the authenticity of the pristine surroundings. These are understandable trade-offs however, and having easy access and available amenities such as changing areas, picnic areas and paved hiking paths plus ample parking, overnight accommodations, even stores for food and souvenirs make up for it. The main attraction however, is still the falls and it is as beautiful as you can imagine. The clearest ice-cold mountain water gushes from the source, cascading down to a gravel-bottomed pool with boulders all around and at the bottom. At the end of the pool is a dam, enclosing the main swimming area and just below it a stream where the water runs to. Swimming in the ice-cold waters is a nice experience, with the cold water shocking your body initially. Kids and non-swimmers would do well to wear a life vest even if the water is under 5 feet deep. The strong currents prevent swimmers from standing in place so vests are a good precaution. 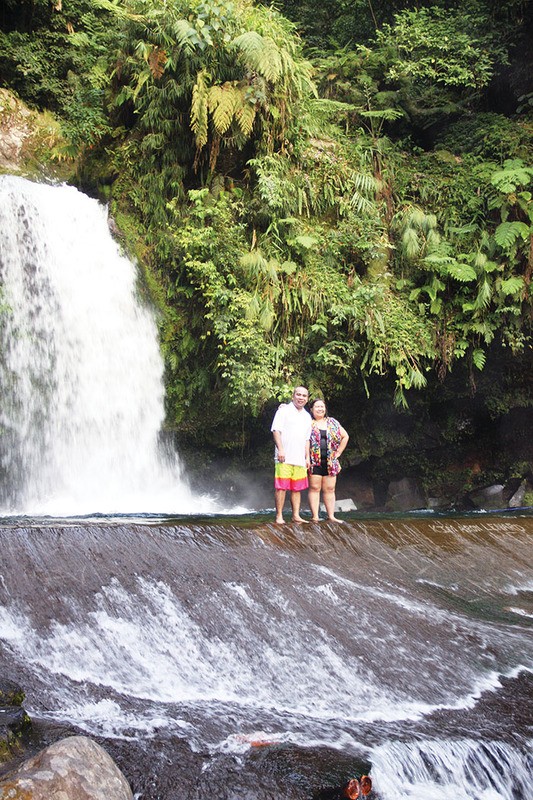 The COOK team had so much fun taking pictures, having a quick dip in the waters and just enjoying the surroundings. After an hour or so, it was starting to get dark and we headed back to Ted’s for dinner. It was dark when we got back to Ted’s and after a quick shower and change, were ready for dinner. Actually, as soon as we got back and as some were just getting ready to freshen up, we were approached by Ted’s wait staff to show us their menu and get our orders. Such is the pampering we got at Ted’s that while we showered and changed, they would already be preparing our meal so that hungry as we were, we wouldn’t need to wait for our food. Talk about being spoiled! We picked among our favorites from the menu, some items we liked from our lunch were reordered plus those we have yet to try. After a good meal and a bit of drinks and stories, we were all knackered and were ready for bed. That is, after some hot chocolate that was served just before bedtime. We had the best food, the best hosts and the best accommodations with the best service, we really couldn’t ask for more. It was a good night’s rest for the team and were raring to go to our second leg of the trip the following day. Breakfast was served at 9 a.m. as requested and it gave the early risers a chance to tour the property. 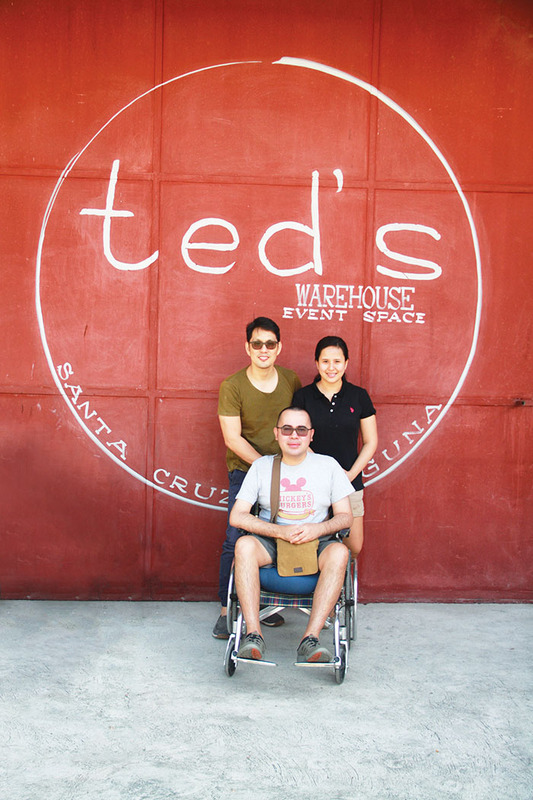 Ted’s Warehouse, located between the restaurant and the B and B is a converted rice mill, now functioning as an events venue. Imagine those lovely barns and warehouses that are transformed into party venues you see on TV and on Pinterest, that is what Ted’s does to their venue, plus the advantage of having outstanding food of course. It’s an interesting property with little nooks and crannies to explore, as well as a tennis court as Ted, for whom the restaurant is named is an avid sportsman. In fact, his vintage racquets are displayed in the restaurant. Because this is a family property, you feel the warmth in its environs and you are reminded of why B&B’s can be more interesting than your average hotel. Ted’s Burger and Steak House and Ted’s Bed and Breakfast is located along the Laguna’s main highway so it is easy to spot. The restaurant is easily visible as it is by the roadside and has loads of private, secured parking. 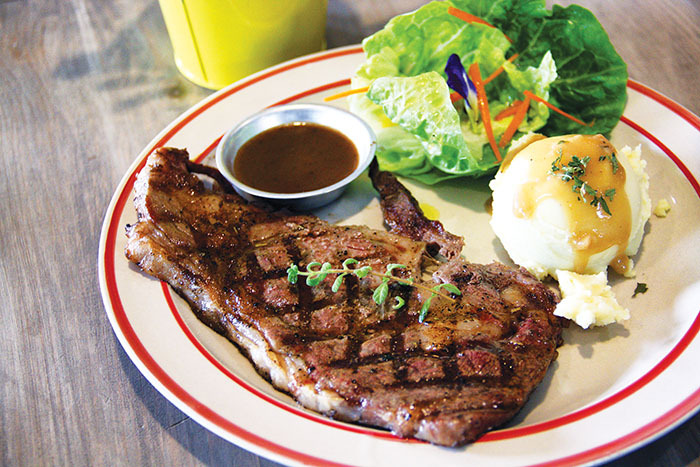 Ted’s Burger and Steak House and Ted’s Bed and Breakfast are located at KM 83, Bgy. Duhat, Sta. Cruz. Tel. (049) 5016858. 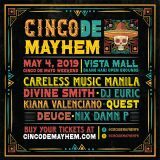 You may also visit their Facebook pages. With Waze and other tools available in your smartphones, it should be hard to miss. After a hearty breakfast, we were all ready to start the second leg of our trip. On our way north, we opted to take SLEX and were hosted by Crimson Hotel for lunch. 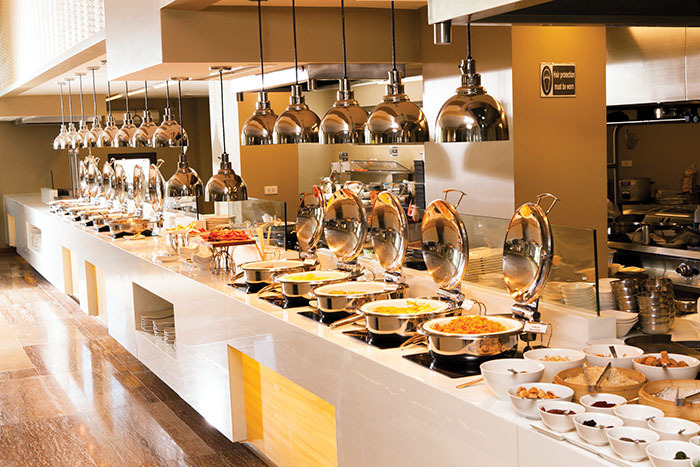 Crimson Hotel’s Café 8 has always been our go to place for buffets. 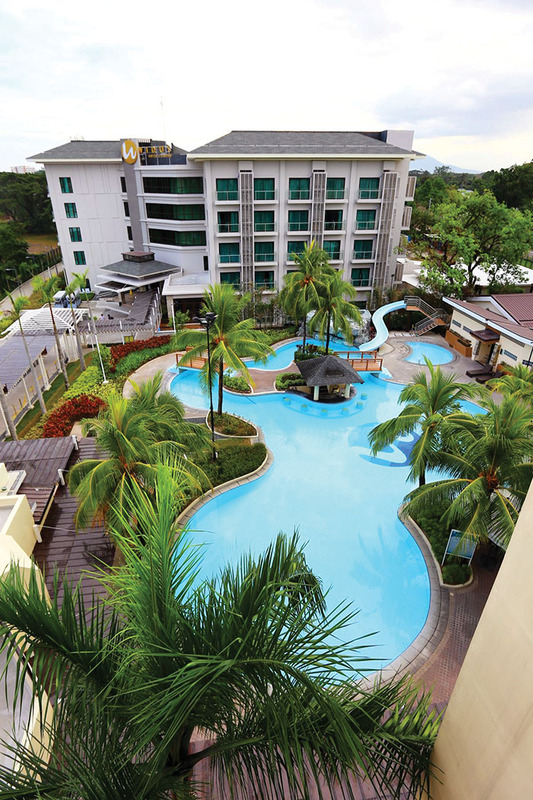 Its easy access from SLEX and Skyway and spacious and free parking means that for groups like ours, it is a hassle-free and a much welcome break from all the driving. 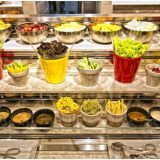 My Café 8 favorites include their pasta station, sushi and sashimi section and their salad section. On this visit, I enjoyed the Duck Breast and Lamb Curry. Looking out from Crimson Hotel, guests can see Laguna de Bay, all the way to the mountains of Rizal, where we passed when our road trip started the previous day. In 24 hours, we visited a wind farm, an old church, swam underneath the pristine waters of a waterfall, had good meals in between and slept like a baby. It seemed fitting that after a day, we stopped just across where we began, this time on the other side of the lake. Our stops at Crimson are never complete without spending time with their energetic and highly charismatic Marketing Communications Manager, our good friend Michael Sagaran. As with our previous visits, Mike always plays the perfect host. With Chef Martin Bower’s creations filling our bellies and with Michael making sure we were well taken cared of, it really was a break we needed. On this visit, we were very fortunate to meet Edmar, 11, whose story went viral on social media after a student from UST chanced upon him selling alkansya houses that he himself built to augment his tuition fee. Edmar, accompanied by his mother, was invited by Crimson to be their guests as well and to give them, opportunity to sell their adorable alkansya homes at the hotel for several days. Although very shy, his dedication to his burgeoning enterprise is very apparent. The entire COOK team are now proud owners of several of Edmar’s alkansya houses. After our Crimson pit stop, we headed towards Clark. After a couple of days of driving, taking pictures and eating, we were ready to jump into our beds and not move for a while. We got to Clark just as we were starting to get hungry. 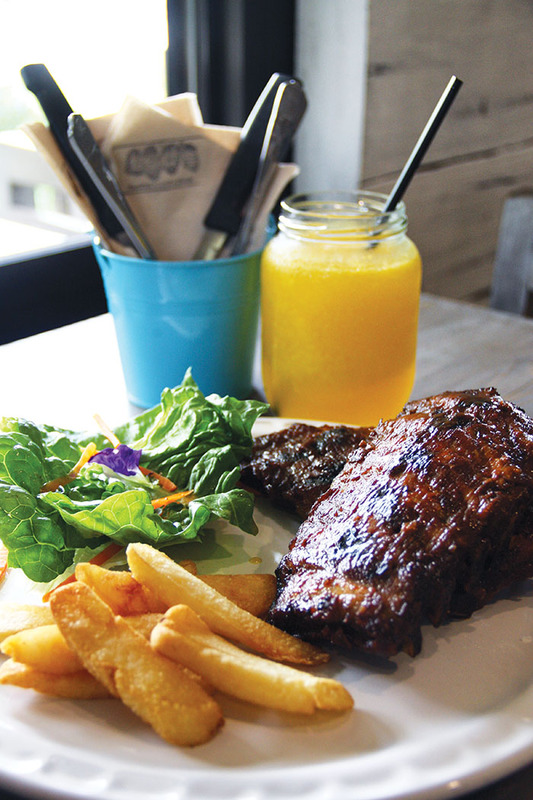 After a quick check-in, we all headed to Salt Resto, Widus’ all-day casual dining outlet. Knowing that Widus is partly owned by a Korean company, some of us decided to order the Korean items in their menu. The prices at Salt are quite reasonable, and having had mediocre hotel food at countless other establishments, I wasn’t expecting too much. When our orders arrived, we were all pleasantly surprised that not only was the food really good and authentic, but the servings were huge! I shared orders with Ms. Britney Kang, our Korean friend who always tags along in our trips. 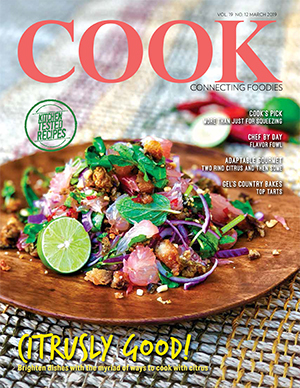 She also has a Korean cuisine column with Cook, so when it comes to food, especially from her native Korea, Britney knows best and she loved everything we ordered! 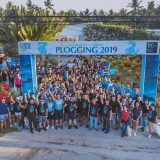 Aouini thinks that the Philippines should have an identity when it comes to tourism in the same way that, Thailand, for instance is known for spas. 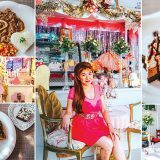 “Filipinos need something that’s related to them, something that when you say Philippines that’s what people associate with the country, which (as fars as the hotel industry is concerned) can be the service. Filipinos communicate well and are very welcoming, nice people. The service in the Philippines can be better than any other Asian country. They can be the best destination service-wise in Asia.” And that’s not lip service, having worked in many other countries before. 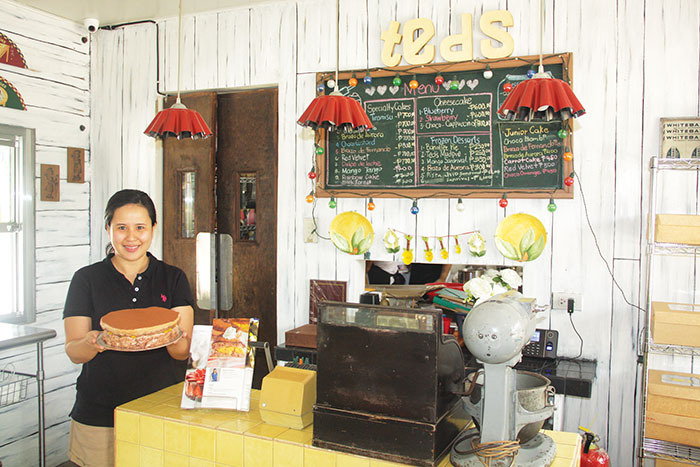 “I’ve worked with many Filipinos, service-wise, they’re very good. “We should be ahead of the trends instead of following them,” Aouini says of the industry.”Tourists everywhere are the same. “I’ve never worked with a hotel that had a casino,” he says. “It’s a new challenge and experience. Casino customers are different, they’re faster. 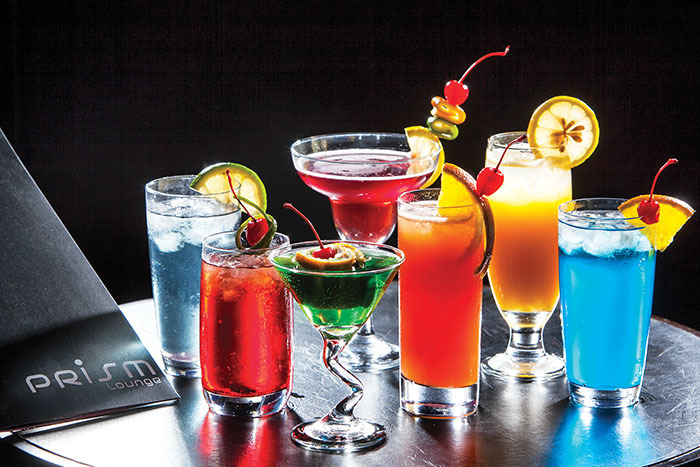 They have a 24-hour F&B requirement. 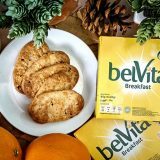 Guests at a casino can have “breakfast” and “dinner” anytime, service and variety should be available for 24-hours. It’s more demanding, which is fun. “Our aim is to always be different,” continues Aouini. “That’s why we are different with our convention center, as we’re going to have other projects guests will find something here that isn’t in any other hotel.” What Aouini is referring to is the partnership between Widus and Marriott to build the first 5-star hotel in the Clark Freeport Zone which will be located just beside where Widus is now. Last year, WIDUS President and CEO, Daesik Han, announced a $100M expansion plan, half of which will go to a state of the art water park. This promises to be a specific go to destination that will. 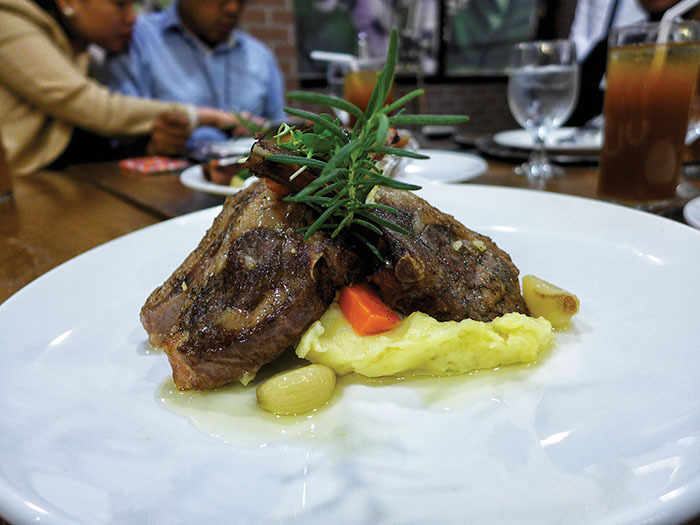 Our dinner on our second day in Pampanga was to be hosted by Chef Vince Garcia. Although we’ve never met, the very friendly chef added me on Facebook and we eventually hit it off, especially as we were both fond of tennis. 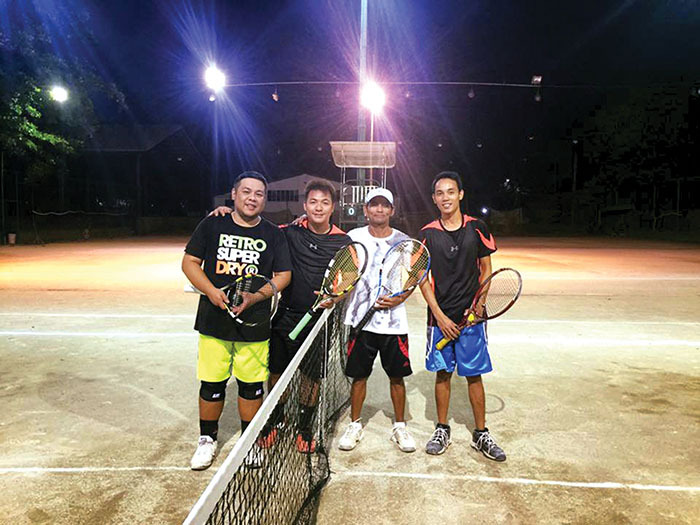 Even before we finalized our Pampanga trip, Chef Vince messaged me to say that if and when we visit, he’d be glad to also host me in his club for a game or two of tennis. This of course got me even more excited – few games of tennis before a sumptuous dinner was just what I needed. 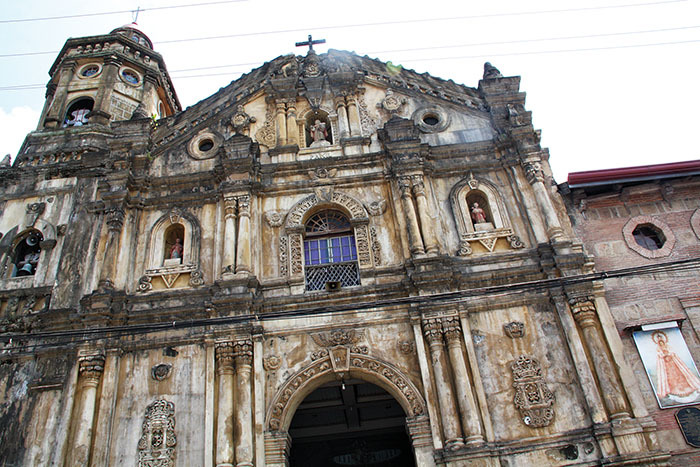 From Clark, Sindalan in San Fernando, Pampanga is about a 30-minute drive away. Just along the main highway, Greenfields Square Village is a development of commercial and residential properties. With a restaurant row in front, a country club with tennis courts on one side and village entrance gates at the ends, Greenfields is a nice mixed-use development. 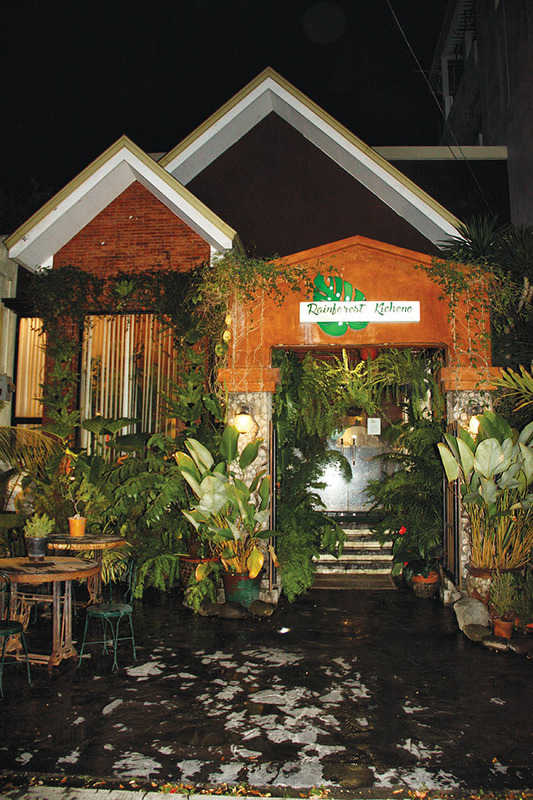 Rainforest Kichene is located just by the entrance of Greenfields and is hard to miss, as the exterior is covered with lush tropical plants. The new two-storey brick “home” of Rainforest Kichene is very inviting, a respite from the searing heat of the Central Luzon summer sun. My first encounter with Chef Vince happened as we planned, at the tennis courts. 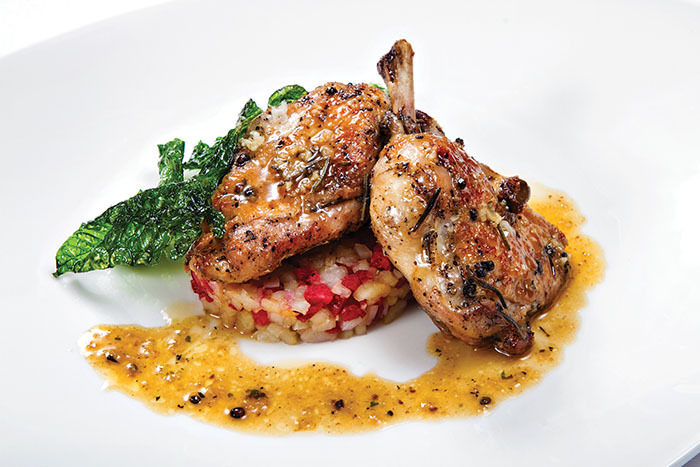 Unknown to me, there is more to the courts than just a venue for Chef Vince to work up a sweat. After a few intense but enjoyable games, it was time for dinner. And as we were cooling down after play, Chef Vince mentioned that he used to work at that exact tennis complex…as a ball boy. Hearing our conversation, some of the older members began to join in, telling me about the chef who grew up before their eyes. There was a sense of pride among the members that one of their former ball boys, through hard work, perseverance and people-skills, now has a new restaurant just a short walk from the courts. 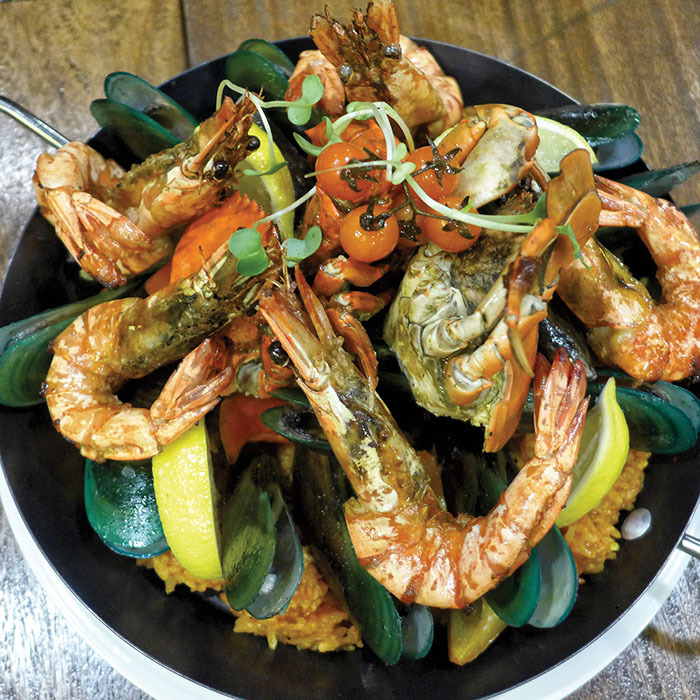 Dining at new restaurants are always a pleasure, but discovering the stories behind these establishments, especially those as inspiring as Chef Vince’s, makes for an even better dining experience. Our group of ten was seated at the restaurant’s second floor, in a private function room. As we eagerly awaited Chef Vince’s creations, we were busy admiring the restaurant’s interiors and even busier talking about the chef’s humble beginnings and success. For starters, we had freshly baked ciabatta, which is a very pleasant nibble together with the herbed butter. 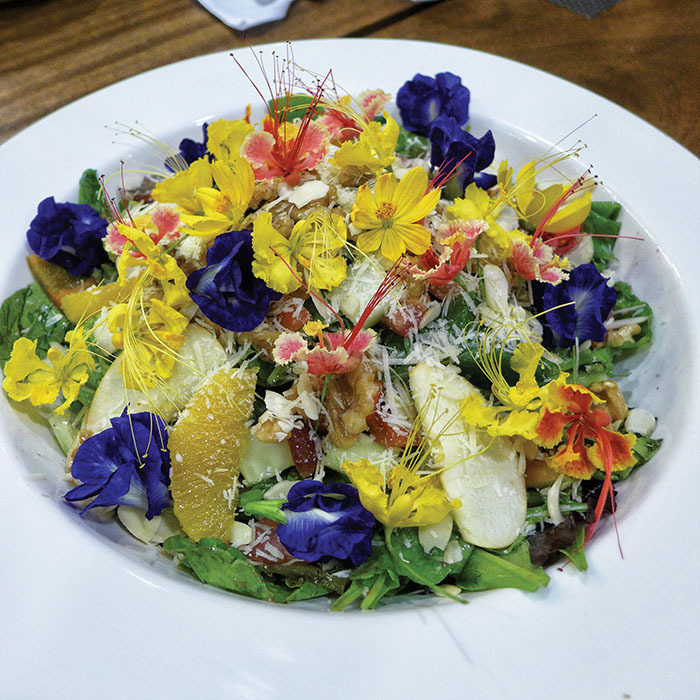 The first dish served wowed us instantly, a large bowl contained what seemed to be a gardeners bouquet of the day’s freshest flowers is the Rainforest Organic Salad, refreshing and an immediate ten in terms of instagram worthiness. It really set the tone for the meal with one dish after another, as delicious as it was pretty: Paella Negra, Classic paella, Steak with Foie Gras (foie gras so large, it distracted from the steak). 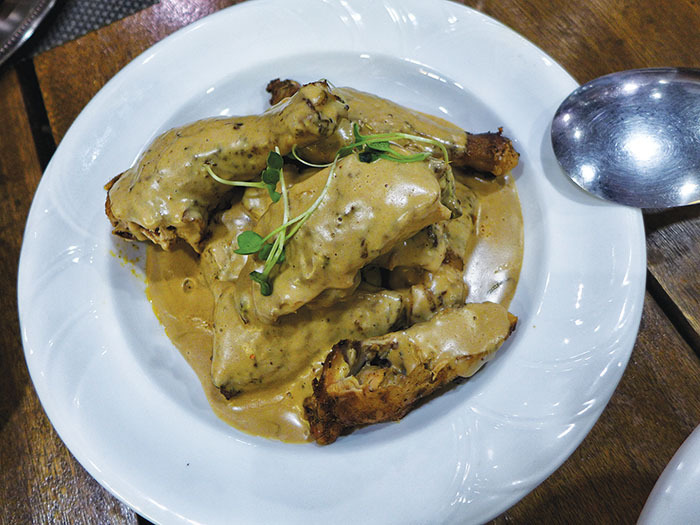 The finale was poetic in its simplicity, his signature dish, a simple Roast Chicken with Tarragon Cream Sauce. The sauce is, in a word, yummy, and we bathed our rice with it. A dessert of crème brulee capped a pleasant evening of fine dining and much laughter, which is a fitting celebration to also mark the final night of our road trip. Cook team has the best experiences ever during the road trip, food trip!